Under certain conditions water systems will require disinfection prior to being put into service. There is not always a means of introducing the disinfection chemical as per the traditional method of charging the water tank and pulling through to all the outlets. 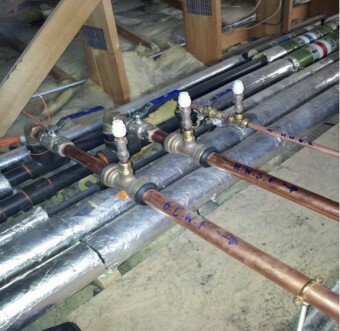 DCS use their own dosing equipment, consisting of a break tank and pump system, allowing for complete control of the pipe work, by both flow and pressure. This creates an ideal situation for new sections of pipe to be disinfected quickly and safely locally, rather than shutting down large parts of buildings. Local water authorities will in some circumstances require new water main feeds for buildings to be disinfected and sampled prior to connection to the mains water supply; this is all possible with our equipment. 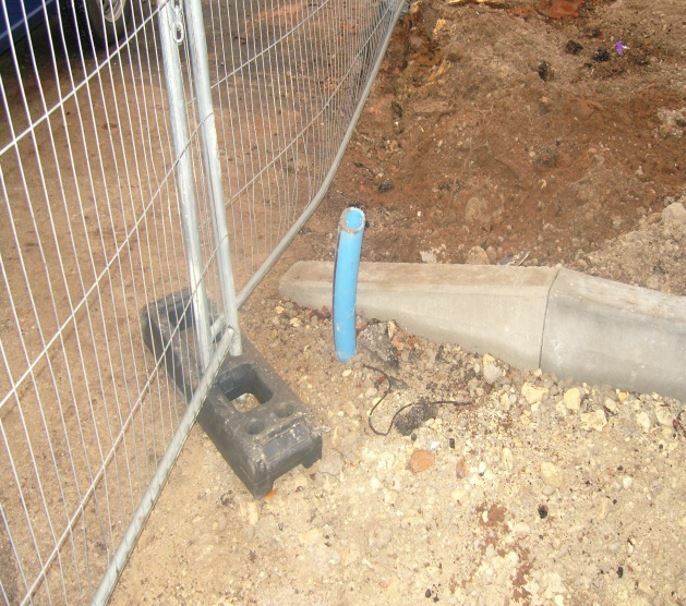 This picture shows what we are faced with some times when we attend site – a piece of MDPE pipe sticking out of the ground.